Millions of low-income renters will find themselves in dire straits if the partial shutdown of the federal government does not end soon. Some affordable housing properties have already had their rental assistance frozen, and most federal housing assistance funding will run out by the end of February. Editor’s Note: A timeline visualizing the major events of the current government shutdown can be viewed here. The Department of Housing and Urban Development (HUD), the Department of Agriculture (USDA) and the Internal Revenue Service (IRS) are all closed during the partial government shutdown. These agencies run programs critical to many low-income renters trying to make ends meet. HUD is very short of staff under the shutdown, with 95% of its staff out on furlough. HUD’s Public Housing and Section 8 Housing Choice Voucher (HCV) programs have enough funds to operate through the end of February. Once the funding for these programs runs out millions of people will be at risk of losing their homes. The Section 8 HCV program serves 2.2 million households, 1.2 million households live in properties with Section 8 Project-Based Rental Assistance (PBRA), and there are more than 1 million households living in Public Housing. Some PHAs have enough in reserves to keep these programs running for a short time if the shutdown goes past February. 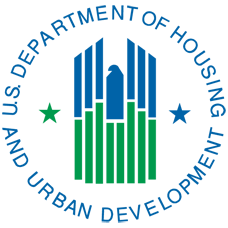 The District of Columbia Housing Authority and the Charleston, South Carolina Housing Authority are examples of PHAs committing their reserves so that low-income households will not be displaced. The DC Housing Authority has reserves for its programs through March. On the other hand, the Charleston Housing Authority has reserves to operate Public Housing for a couple additional months after, but cannot continue funding Section 8 vouchers past February. Public Housing residents and those with Section 8 vouchers should confirm how long their PHA will be able to carry the programs if the shutdown goes past February. Public Housing will also soon face repair issues. With HUD closed during the shutdown, PHAs cannot access the Public Housing Capital Fund and Public Housing Operating Fund. PHAs receive grants from the Capital Fund for major repairs and improvements. The Operating Fund pays for day-to-day management of Public Housing, including small repairs and routine maintenance. If the shutdown drags on for a long time, Public Housing properties will not get their regular maintenance and major improvement projects will have to be put on hold. Even without the risk of eviction, Public Housing residents will see the safety and quality of their buildings deteriorate. The shutdown has had a more immediate impact on HUD’s Section 8 PBRA program. HUD provides rental assistance contracts to property owners so that residents pay 30% of their income for rent. These contracts cover rental assistance to many units in a single property or group of properties. They need to be renewed before they expire so that there is no gap in funding. HUD staff were not able to renew 1,150 expiring Section 8 PBRA contracts before the shutdown began on December 21, 2018. These properties house 21,500 more than 60,000 low-income households. HUD staff have indicated that another 500 contracts will expire in January, affecting 20,000 households, with 550 more contracts expiring in February. Even properties with active Section 8 PBRA contracts face problems with a prolonged shutdown, since there is only enough funding to make rental assistance payments through February. HUD has told Section 8 PBRA owners that they can use their property reserves to cover the shortfalls left by HUD not paying rental assistance. It is not clear how many owners have enough in reserves to do this over a lengthy shutdown. Tapping these reserves leaves less money for ongoing repairs. It can also halt progress on major improvements, like replacing roofs and boilers. Seniors living in HUD’s Section 202 Housing for the Elderly properties may also be affected if the shutdown drags on. About two-thirds of Section 202 apartments have rental assistance through the Section 8 PBRA program. Although Section 202 owners can use their reserves to cover ongoing expenses, most of these are nonprofit owners. They tend to have smaller reserves and less access to private financing for repairs and upkeep. They may have to look to charitable sources for loans to pay for regular operations. Leases for people using Section 8 HCV, or living in properties with Section 8 PBRA have some protections for tenants. Landlords are not allowed to charge tenants more rent to make up for HUD not paying the rental assistance. They also cannot evict tenants when HUD fails to pay them, as long as renters pay their tenant contribution on time. However, it is possible that some unscrupulous landlords may try to take advantage of their tenants during the government shutdown. And it’s also possible that landlords may choose to leave the program if the lease ends during the shutdown. Renters in rural areas will also experience hardship if the shutdown goes past January. USDA administers a number of housing programs serving low-income renters in rural areas. USDA’s Section 521 Rural Rental Assistance (RRA) program provides affordable rents for 265,000 households. 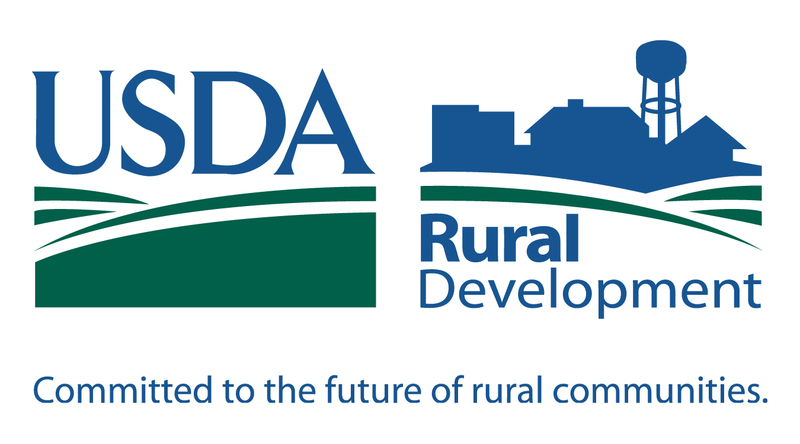 The Council for Affordable and Rural Housing has been informed by USDA Rural Development that approximately 700 RRA contracts were not renewed before December 21, 2018. The number of units contained in these 700 properties and their locations are currently unknown. The Supplemental Nutrition Assistance Program (SNAP, formerly known as food stamps) will have funding only through February. USDA also administers the food stamp program, and has said that there are enough SNAP funds to cover benefits for January. USDA recently came up with a way to issue the full $4.8 billion in benefits due in February. However, USDA and state officials are scrambling because the funds must be issued weeks early, by January 20. USDA also has a $3 billion SNAP contingency fund that it can use in Marchwill use in February if the shutdown goes on that long. However, this will only cover about 64% of the program’s need. For example, USDA paid $4.7 billion in SNAP benefits during the month of September, so $3 billion will come up short of the need. USDA officials have not said whether they will lower the benefits paid to address the shortfall. Low-income renters will be hard hit. Many low-income renters pay more than half their income in rent, and losing SNAP will make it harder to put food on the table. Renters in federally assisted housing could not only be faced with losing their homes, they will also have less money to buy food. The Administration has said that tax refunds will go out on time, although there could be delays.Tax refunds could be delayed, too. Many low-income renters depend on their tax refund to cover large expenses or catch up on bills. The IRS is part of the Treasury Department, which is closed during the partial government shutdown. This week 36,000 IRS employees were recalled to work without pay to help process tax refunds. This is the first tax year since the 2017 tax cuts, and the IRS has a lot of work to do revising forms and guidance for the new tax rules. 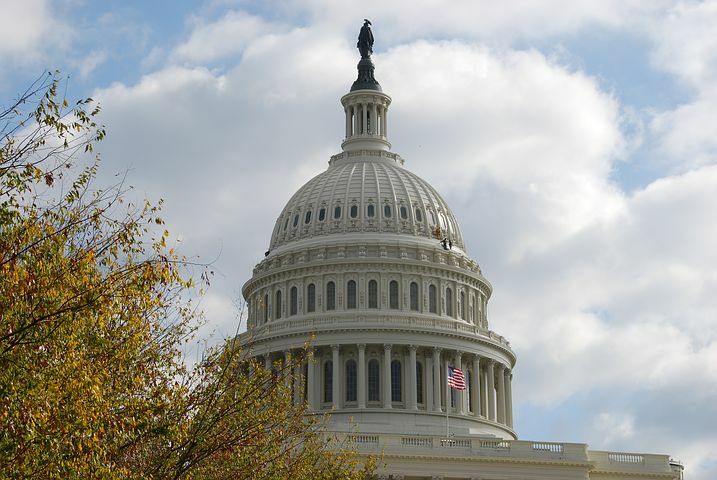 A prolonged shutdown will likely delay processing tax refunds. Many low-income renters depend on the Earned Income Tax Credit (EITC) for a large part of their tax refund. More than 27 million low-income people claimed the EITC in 2017, with an average EITC amount of $2,455. The Low-Income Home Energy Assistance Program (LIHEAP) is one resource that is not affected by the partial government shutdown. It provides energy and heating assistance to low-income renters and homeowners. Many low-income renters depend on LIHEAP to stay warm in the winter. LIHEAP is run by the Department of Health and Human Services (HHS). The HHS funding bill was already signed into law, so the agency is open and its programs are running. HUD leadership seems to have contributed to the problems arising from the shutdown. Unlike past shutdowns, HUD has provided only limited guidance to PHAs, owners, advocates or tenants. It is left with a skeletal staff and management seems chaotic. The prospect of a government shutdown made headlines since before the election, but it appears HUD did little to prepare for it. House Democratic staff are investigating if HUD mismanagement played a role in the large number of Section 8 PBRA contracts that expired. There is not yet an explanation as to why these contract were left to expire. HUD had Advance Funds of $400 million that were appropriated last year so that services do not lapse between fiscal years. House Democratic investigators are asking if these funds were already spent, and why they were not used to renew expiring contracts. Last year’s Republican Senate and the new Democratic House have passed identical funding bills for HUD, USDA and the other agencies closed during the partial shutdown. The House passed a separate measure for the Department of Homeland Security to keep it funded until February 8, 2019. This would allow debate on funding for border security while reopening the federal government. These funding bills do not include funding for the border wall. However, they fully fund most housing programs, more than $2 billion above the Trump Administration’s original 2019 HUD budget request. The House has also passed individual funding bills for each agency with the same amounts, putting more pressure on the Senate to vote on reopening critical government agencies. The currently partial government shutdown involves about one quarter of federal agencies. Approximately 800,000 federal workers are either furloughed or working without pay. The shutdown was started by President Trump’s refusal to sign full-year 2019 spending bills over a dispute about funding for his southern border wall. The Republican leadership in the Senate can end the shutdown by passing the HUD and USDA spending bills already approved by the House. These are the same funding levels approved by the Republican Senate in the last Congress. Affordable Housing Online will continue to provide in-depth coverage of this shutdown. We have assembled a timeline of relevant events related to the shutdown here. Previous Previous post: Why is it hard to maintain quality Public Housing?